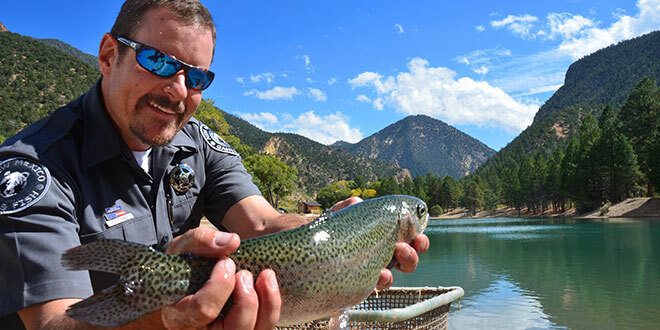 Eric Frey of the New Mexico Department of Game and Fish slipped a big trout into the emerald green waters of Eagle Rock Lake and grinned as only an angler can. Above: Eric Frey, sportfish program manager and recipient of the Director’s 2015 Wildlife Conservation Professional of the Year Award, holds a rainbow trout prior to release in Eagle Rock Lake. NMDGF photo by Karl Moffatt. Big fish like that represent an estimated $7.40 investment in angler satisfaction, and the response to the department’s big fish stocking program indicates it’s been a huge success. The program is an example of the department’s ongoing commitment to keeping its customers happy. Last year, the department’s six hatcheries spent about $3 million to grow and stock an estimated 9.3 million fish, including trout, bass, catfish, bluegill, walleye, and salmon. Then an estimated 179,000 licensed anglers rigged up to catch them. The big fish stocking program, which began last year, continues this fishing season with plenty of lunkers being added to routine loads of catchable-sized fish destined for popular fishing holes. The big fish are a real thrill to catch and have made many anglers excited about the sport again. “I don’t know what they’re feeding them down at the hatchery, but they need to keep it up,” said Josh Anspach Hanson, 34, of Albuquerque. “It’s sure made my fishing really exciting again.” Hanson was one of the lucky anglers who got into some of the monster stockers the department planted in the Red River above and below the fish hatchery in the fall of 2014. Most of those big fish had been raised at the hatchery for routine stocking in Shuree Ponds on the Valle Vidal. But because of drought-induced low water levels at the ponds, the fish had to be released elsewhere. There were other big fish making their way into northern waters at that time, such as the first generation of trout raised at the Los Ojos Fish Hatchery since it was closed for decontamination of whirling disease several years earlier. About 1,000 fish had to be held over at the hatchery to ensure they were free of the disease. They grew to around 17 inches each before being stocked in nearby Hopewell and Canjilon Lakes and the Chama River. Some of those big trout from the two hatcheries were caught by fly anglers on the catch-and-release waters of the Rio Costilla. Kids were pulling them out of fish hatchery ponds and places like Tingley Beach. Even remote Charette Lakes, far out on the plains of eastern New Mexico, got a load of the big fish. 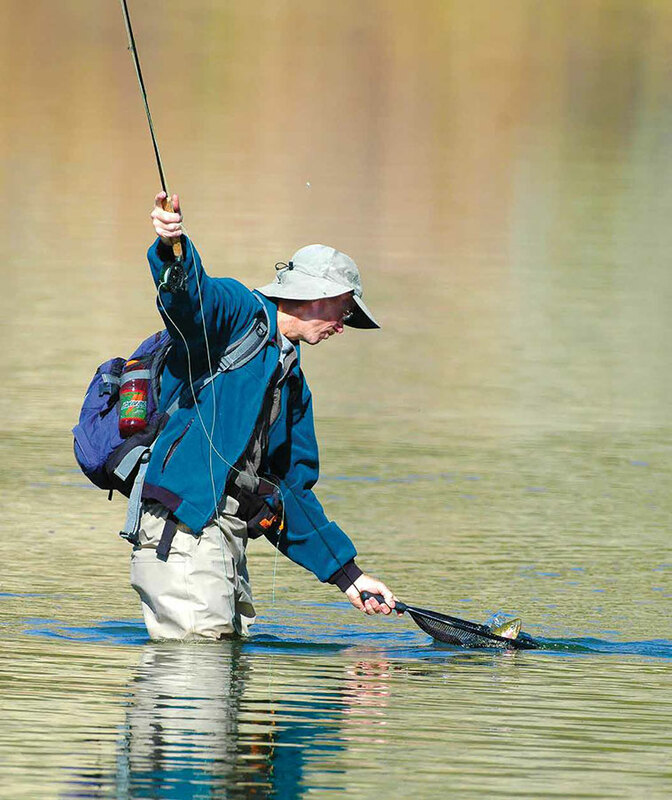 Anglers have reaped the rewards of the New Mexico Department of Game and Fish big trout program. Last year, the department’s six hatcheries spent about $3 million to grow and stock and estimated 16 million fish. The program continues in 2016. 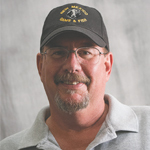 And the response from anglers couldn’t have been better, Frey said. So a plan was hatched to keep growing bigger fish at several northern New Mexico hatcheries to augment regular loads of catchable-size, stocked rainbows. This year, fish hatcheries at Red River and Los Ojos will raise thousands of trout in the 15- to 17-inch range for stocking in about 20 selected lakes and ponds. Anglers can find out where the big fish are stocked by checking the weekly fishing and stocking report posted on the department’s website, www.wildlife.state.nm.us. Anglers in New Mexico also get plenty of bang for their angling buck from the year-round stocking of “catchable” trout in the 10- to 12-inch range. Frey said those trout are raised at the department’s hatcheries and cost about $1.50 each to raise and deliver. Northern fishing waters were stocked with about 2.3 million trout from March to October in 2015. An estimated 1.3 million fish were stocked in winter trout waters in the southern half of the state from October through March. About 32 percent of those trout were catchable size and the rest mostly fingerlings. Catfish are also popular sport fish the department regularly stocks and anglers love to eat. The department paid about $3 each for an estimated 27,000 catfish averaging 18-inches in length and weighing about two pounds each for stocking in 2015, Frey said. Those fish were put in special “Big Cat” waters such as Oasis Park Lake, Bosque Redondo, and the Roswell Kids Pond, where anglers can catch and keep two fish. The department also is raising 3- to 15-inch catfish at its Rock Lake Fish Hatchery in Santa Rosa that are being stocked in New Mexico fishing waters. Most of the smaller fish are expected to grow to a catchable size of 12 inches or more. The larger cats are being stocked into select waters during the spring to kick-start the summer catfish angling season.